Is your company OMINDEX© rated? 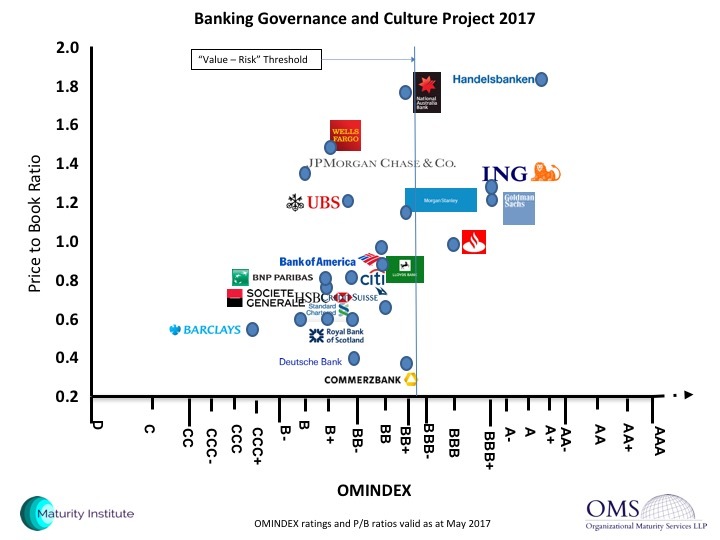 OMINDEX© is our global benchmark for how well your company is creating value and managing the business risk associated with governance, culture and human capital. 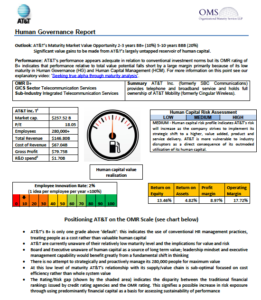 An initial meeting to understand how OMINDEX and OMR are used, and how we link ratings to Total Stakeholder Value (TSV). This will also explain in more detail what a TSV oriented strategy entails. You can commission a simple, confidential, initial OMR discussion for your organization using an initial rating we produce based on available public data . This will make the experience ‘live’ and we will summarise existing opportunities for potential value improvement and more effective risk management. Before any formal engagement, it is important to understand that OMINDEX is a relative scale for comparison and any initial OMR should be viewed as the baseline for improvement. We will work with you to ensure that you are satisfied that your OMR baseline accurately reflects and represents your true position on the OMINDEX scale. You will have every opportunity to provide evidence to help determine your rating. 3. For organizations who have requested an OMR and those who have agreed to our request to participate in our external ratings process, we will agree a specific date for insertion of the rating into OMINDEX. This will occur once you fully understand the nature of the methodology and have been able to provide available evidence to inform your rating. Our experience has shown that engaging in this process is, in itself, a critical step (and a significant indicator) that you are able to effect material improvement in Total Stakeholder Value (TSV). Once on OMINDEX, you can also use your OMR to send a positive message to all your stakeholders. Publication of an OMR and your explicit recognition thereon should enhance your organization’s public standing. OMINDEX© is approved by the Maturity Institute. Our proprietary OM30 instrument is a sophisticated tool and is now being used for detailed, sector level analysis. 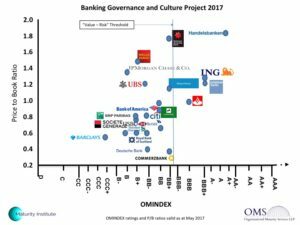 How much will an OMINDEX© rating cost? Organizational Maturity Ratings (OMR) analyse your whole organization as a complete system of value creation. OMINDEX has been designed in accordance with the strategic framework and business principles of the Maturity Institute for the specific purpose of assessing how well you leverage human capital to gain the most sustainable competitive advantage and highest market value. OMRs use the same rating scale as credit ratings, ranging from AAA to D with 22 gradations. The OMINDEX OMI Global is a list of all the companies currently rated by OMS LLP.